Are you interested in relaunching your career after taking time off to raise children, care for elder parents, or navigate personal challenges? How can you get back into the work world, especially as an introvert – or someone who recharges their energy during their quiet time, and who may find searching for a job especially overwhelming? 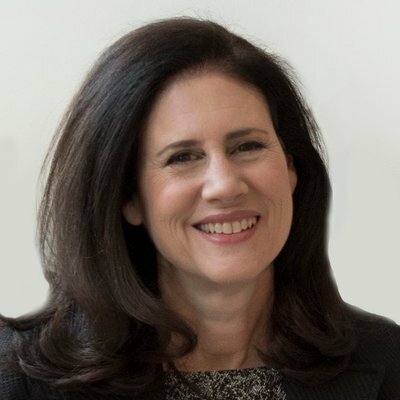 In this discussion with Carol Fishman Cohen, chair and co-founder of iRelaunch, author of Back on the Career Track, and host of the 3,2,1 iRelaunch! podcast, you’ll get tips for easing back into the work world. Nancy Ancowitz: What typical challenges do career relaunchers face? Carol Fishman Cohen: The biggest challenge is figuring out what you want to do all over again. Your entire relaunch rests on the answer to this question. Your career break can be a gift in this regard, because it’s often the first time you allow yourself to step back and evaluate whether you were on the right career path to begin with. Some relaunchers realize they were not. Maybe, like so many of us right out of school, you fell into your original career without much thought or you were fulfilling someone else’s – like your parents’ – expectations. If you’re in this category, you may decide to relaunch your career in an entirely new direction. Some people are fortunate in that they were on exactly the right career path to begin with, and they return to a similar role to what they were doing pre-career break. A third category is people who liked what they were doing pre-career break, but something about that role – usually excessive travel demands – no longer feels compatible with their life stage. They may seek out something related to what they were doing before, but not exactly the same role. Those in the first and third categories may end up taking a job for lower compensation than what they left. NA: I appreciate your explanation about that in your “5 Reasons People Take a Pay Cut When Relaunching Careers” story for Fairygodboss. In a nutshell, why take a pay cut? CFC: It can be because you are in a new field and need to start closer to entry level. Or because taking away a demanding travel requirement, for example, may mean your new role is paid less. NA: What is your favorite tip for introverts who are looking to relaunch their careers? We often find too much socializing draining. CFC: Successful relaunches depend on getting out of the house and going public with your job search. This can be excruciating for introverts. So, attend networking events with a wingman or wingwoman and brag on each other’s behalf. NA: Can you give an example? NA: We’re on the same page about the value of networking with a wingperson. Both people can also benefit simply by introducing one another around – expanding their networks mutually. What’s another tip? CFC: This tip is for introverts who are strong writers. I originally heard this concept from Ari Kaplan, who was giving this advice to introverted lawyers. He said to use your writing skills to network. NA: Yes, it’s important to remember that plenty of networking can also happen from the comfort of your keyboard. Would you give an example? CFC: Go to an organization that has an online newsletter and ask if they would publish an interview with Expert X if you can make it happen. Then you can approach Expert X and say you are writing a piece for the XYZ professional association newsletter. You could ask for a 30-minute interview on topics A, B, and C. The expert will likely say yes. You then meet them. Later, you can share the link to the article. After that, you could share an article you thought they might be interested in, or a conference you noticed was requesting speaker proposals that would be great for them to speak at. Handled respectfully and with patience, this could be the beginning of a relationship that is not based on the opportunistic “can you help me find a job?” request. NA: That’s another effective way to expand your network without being pushy. It also plays to the strength of many introverts to build strong relationships one person at a time, over time. On another note, you advise career relaunchers to “save the best for last” when going to job fairs and other networking events. That sounds like a smart strategy, particularly for introverts, who often benefit by practicing their self-introductions out loud. Would you give an example of how that can work? CFC: Yes – say you get to a job fair, or for that matter, you are at the iRelaunch Return to Work Conference, and have your eye on one particular company’s return-to-work program. Don’t make a beeline for that company as soon as you walk in the door. First, speak with other participants to loosen up and practice what is essentially a script succinctly talking about your background and interests. Then have that conversation with other companies to warm up some more. Then approach the #1 company on your list. Why? When you walk away from the earlier conversations, you may think, “oh, I forgot to say X.” You want that to happen in the conversation that is less important, not the most important one. NA: Yes, also commonly called “elevator pitches.” Some people don’t like them because they can sound wooden. That’s true, so it’s vital to use them as talking points, but to always sound natural. And those practiced self-introductions are particularly helpful for introverts. CFC: Yes. They are mandatory. Write out different versions of these introductions – short, long, for someone in your field, for someone outside your field, and so on. Then, practice them over and over again in front of a mirror or talk to a wall or record yourself on your phone. You must do this out loud, and not simply imagine yourself answering these questions in your head. Laszlo Bock, the former head of People Operations for Google, writes in his book Work Rules! about treating your self-introductions as if they were theater performances. We say to practice them first with non-judgmental friends and family. Then you can branch out to people you know less well. The more you rehearse, the more confident you will feel, and the better you will sound when it really counts – in the interview itself. NA: That’s useful advice, especially for introverts, who can get tongue-tied speaking on the spot. Another useful tip you share is a reminder for career relaunchers – introverts and extroverts alike – that their old colleagues often remember them “frozen in time,” from before their career breaks. You spoke about that eloquently in your “How to Get Back to Work After a Career Break” TED talk. How can that reminder be helpful? CFC: “Frozen in time” is an element of confidence boosting. If you are on career break for a long time, especially in a caregiving role role, you can become professionally disconnected. Since so much of your identity may be wrapped up in how you view yourself professionally, taking that out of the equation can result in a diminished sense of self. The beauty of the “frozen-in-time’’ concept is that even though you are experiencing a diminished sense of self in the present, when you get in touch with people with whom you went to school or worked, they don’t know about any of that. They only remember you as you were. As a result, their enthusiasm about your interest in returning to work can be a real confidence booster. NA: What an astute insight. Can you give an example of the “frozen-in-time” concept? CFC: It happened to me at my 15-year business school reunion. I ran into a former classmate who had become a headhunter. I had been on a career break for the prior 10 years and was starting to think seriously about returning to work at an investment firm – although I had no idea how I was going to do it. This was in 2000, before the introduction of return-to-work programs or media attention to relaunching. I didn’t know anyone else who had returned to work after a career break. Nine months after the conversation with my former classmate, I heard from her. She said she had come across an investment banking role that was a perfect match for my skillset. What skillset was she talking about? The one she remembered when we sat next to each other as MBA candidates 17 years earlier! That’s when “frozen in time” first occurred to me as a concept. It has been validated many times over with other relaunchers since then. NA: You’ve mentioned the importance of aiming for lots of networking conversations, since you don’t know which ones will turn into valuable leads. What is your favorite energy-saving technique for introverts? CFC: I can’t sugar coat this. There is no substitute for many, many conversations over time. You need to have a lot of them to yield the few that are the true leads. The context for these conversations is where I can give advice to introverts. CFC: Yes. Also, introverts should aim to have these conversations as a by-product of interactions in another context, rather than at “networking events.” Whether you join Toastmasters International, attend university lecture series, pursue strategic volunteering roles or take courses, conversations that occur in these contexts can ultimately lead to job opportunities. CFC: An example is Toastmasters, where most of the participants are in the work world. All have the goal of becoming better public speakers. So many people are afraid of public speaking, regardless of their work status. So, this is a great context in which to introduce yourself and have casual conversations that could lead to an introduction. And that leads to another one that ultimately is the key to a job opportunity. Conversations you have in the regular course of your day can lead to opportunities. An introverted mom who sat next to another parent while watching their kids play in a soccer match mentioned she was looking for an accounting role after 13 years away from work. The other parent said he’d ask his HR department. The mom got a temp job that turned into a permanent opportunity. NA: That’s another important point for introverts – consider temporary employment or consulting work that could lead to permanent positions. Those options can be a wonderful way for the professional and the employer to get to know one another to ensure that they’re well matched. To that end, in “The 40-Year-Old Intern,” a story you wrote for the Harvard Business Review, you point out that employees who return to work after a career break are an excellent investment for employers. Why is that? How can introverts, in particular, benefit from “returnships” (a term trademarked by Goldman Sachs) and other internships? CFC: The talent pool of returning professionals is high caliber, loyal, and high performing. Relaunchers are educated, they have great work experience, and a mature perspective. They are in a stable stage of life, with most maternity leaves and spousal or partner job relocations behind them. Plus, they have an energy and enthusiasm about returning to work that employers consistently appreciate. Relaunchers are chomping at the bit to get back to work and prove themselves all over again – and it shows. Goldman’s Returnship program was the first to be established, in 2008. At iRelaunch, we have more than 90 global corporate return-to-work programs on our fast-growing list. Stats from formal return-to-work programs show that, on average, 85% of participants are hired when they complete these programs. Introverts can benefit from these mid-career internship programs in the same way that employers do – they provide a testing-out period for both parties before the hiring decision is made. The programs include learning-and-development opportunities, mentorship, and transitional support. Most importantly, mid-career internship programs are built around a cohort structure, in which groups of relaunchers move through the program together, providing a built-in personal and professional support network. NA: Thank you for your powerful insights for relaunchers, with special tips for introverts! The work you’re doing sounds exciting, innovative, and valuable. Nancy Ancowitz is a presentation and career coach who teaches at New York University and author of Self-Promotion for Introverts: The Quiet Guide to Getting Ahead (McGraw-Hill).